Even though she was only in her 20s, Sukhinder Singh Cassidy had already been successful at jobs in investment banking and the media. Raised in Canada and holding an honours degree in business from the University of Western Ontario, she arrived in Silicon Valley feeling pretty good about herself. Over the ensuing months, she found herself being given more and more junior tasks. “I saw an emotionally volatile male colleague—a friend of the boss—get rewarded for his behaviour, and I was getting told I was the aggressive rookie.” By month five, the once-confident Ivey School of Business grad was questioning whether she belonged in Silicon Valley at all. Singh Cassidy’s is one of many stories coming out of the Valley—stories of unwanted attention, harassment and discrimination. Over the past year, women in the tech world have been speaking out about what they experience, fueled by the Time’s Up and #MeToo movements. Women have been less vocal in Canada, but they are still underrepresented in the tech sector. A report released late last year, co-authored by PwC and MaRS for a local advocacy group, revealed that women founded only 5 per cent of Canadian tech companies and occupy only 13 per cent of C-suite positions. More shocking, 53 per cent of tech companies have no female executives at all. Singh Cassidy, now founder and CEO of San Francisco-based Boardlist, which helps tech companies find women qualified to serve on their boards of directors, blames the lack of women in tech on hiring practices. When you have a homogeneous group in power, they often fill like with like, she says. Her experience is echoed by Natalie Cartwright, co-founder of Vancouver-based fintech startup Finn.ai, who calls it the “golf course effect.” There’s a tendency for women to find themselves excluded from discussions that take place in social contexts, which often break along gender lines. Even if unintentional, the effect is real. But institutions must also adapt, says Rossant, who teaches at the University of Toronto, serves as president and scientific director of the health-focused Gairdner Foundation, and continues to work at SickKids as a senior scientist. Wary of quotas, Rossant wants to see a broad-based effort to ensure that the candidate pool for leadership roles in business, science and education is as diverse as possible – but definitely including women. Despite the low numbers in Canada’s tech sector, gender diversity is slowly increasing. Take, for example, Kitchener-based startup Bridgit, which provides hope that gender parity is possible in even the most seemingly male-dominated industries. 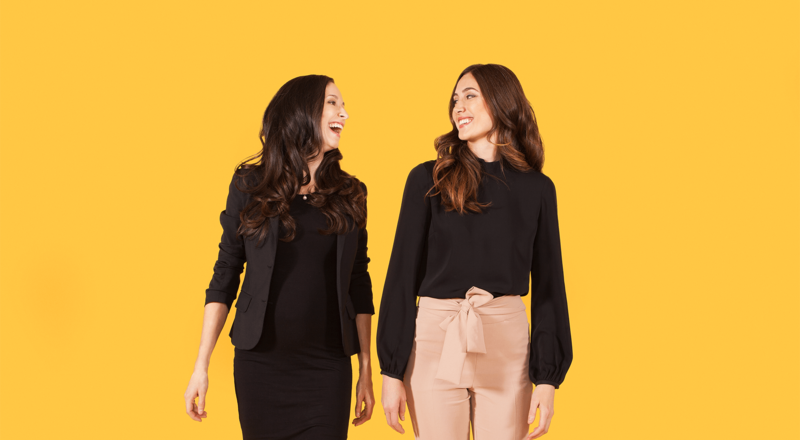 Mallorie Brodie, CEO, along with her co-founder Lauren Lake, didn’t give their gender a second thought when they built their company to service large construction projects. Today, Bridgit has reached gender parity in its staff, its investor group and on its board of directors. “It comes from our conscious effort to hire people who will complement and collaborate well with the team,” says Brodie. Companies are more likely to be successful with gender parity and diversity in their ranks. Morgan Stanley reported last year that those firms in the U.S. that even try to become more diverse are often rewarded with better returns. “Tech is making products that affect so many people—that literally drives the lives of people daily,” says Dessy Daskalov, chief technology officer at Toronto-based Nudge Rewards, whose app lets organizations stay connected with frontline workers even at different locations.